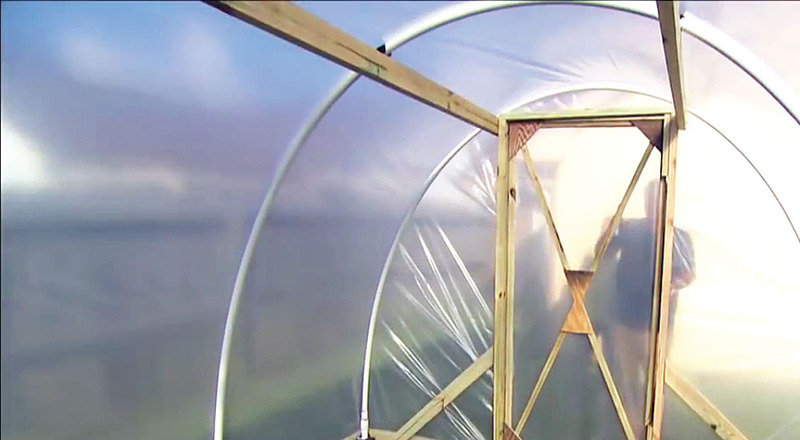 A high tunnel, or hoop house, is basically a primitive greenhouse. Unlike greenhouses, high tunnels are unheated and have no fans, powered vents, lights, or anything running on electricity or fossil fuels. 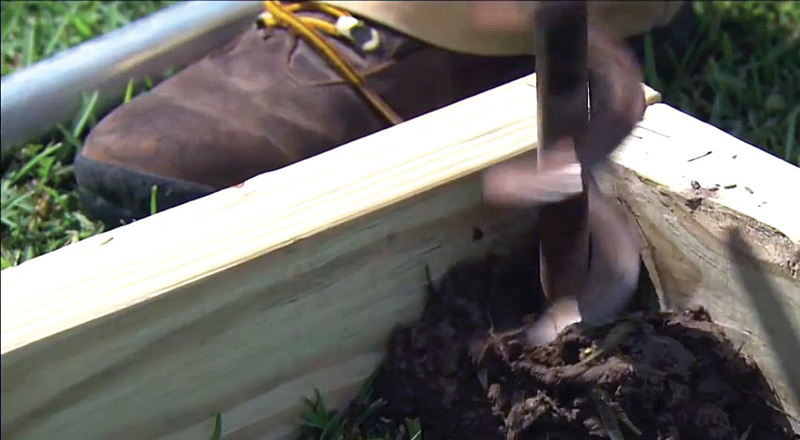 Plants are grown in the ground or in raised beds just as they are in the garden. High tunnels provide season extension for your garden by allowing you to harvest fall crops into the winter and plant spring crops weeks earlier than usual. Because high tunnels provide a controlled environment for your garden, pest pressure from some insects, diseases, and weeds can be reduced. However, since rainfall will not reach your garden, it is important to provide irrigation. You can water by hand or use a soaker hose or drip irrigation. 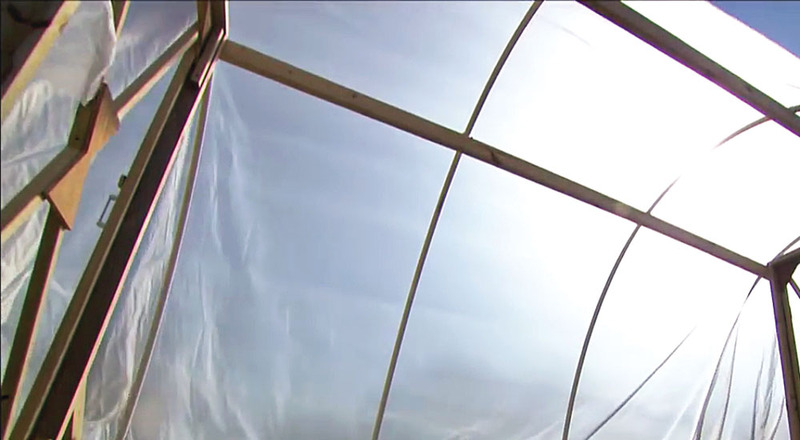 High tunnels are available in many sizes and at a wide range of prices. 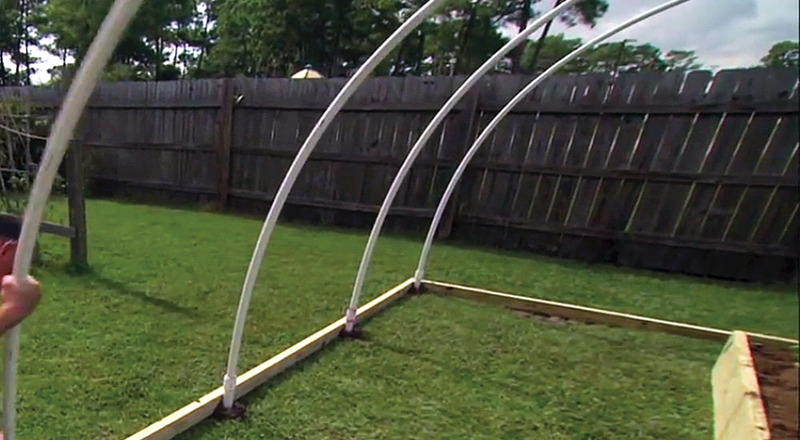 Building a basic high tunnel for your home garden can be done simply and on a small budget. 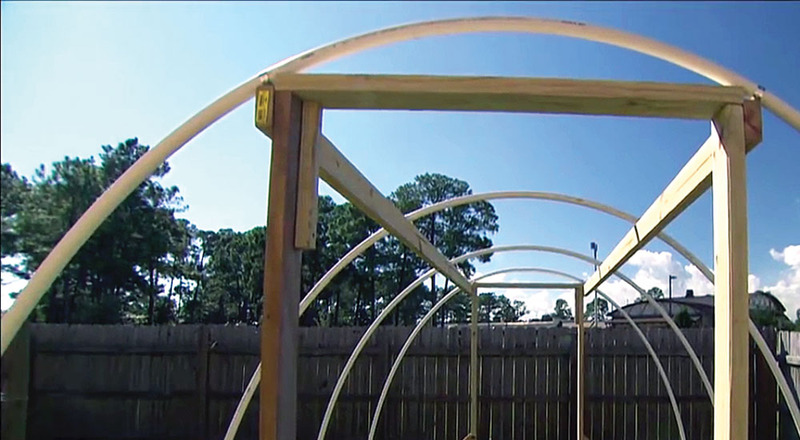 Following are the materials list, recommended tools list, and instructions for building a 10-foot X 12-foot home high tunnel. Click arrows in slide to go through steps. 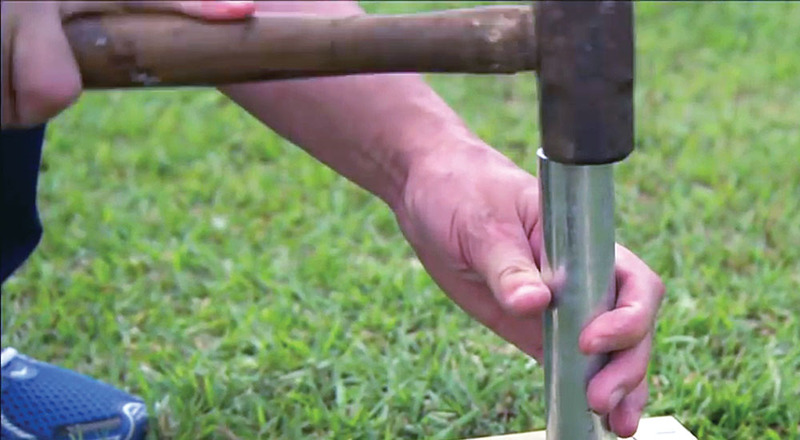 Step 2: Dig or drill holes for the eight pieces of galvanized pipe in each corner and along each long side to a depth of approximately 12 to 18 inches. Step 3: Set the galvanized pipe using a hammer, leaving about 6 inches of pipe above the baseboards. 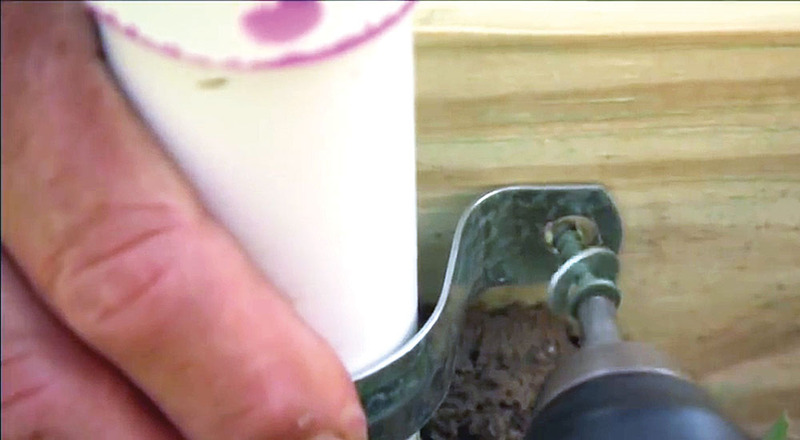 At this point, you could use concrete to stabilize each post if you dug holes larger than the diameter of the galvanized pipe. 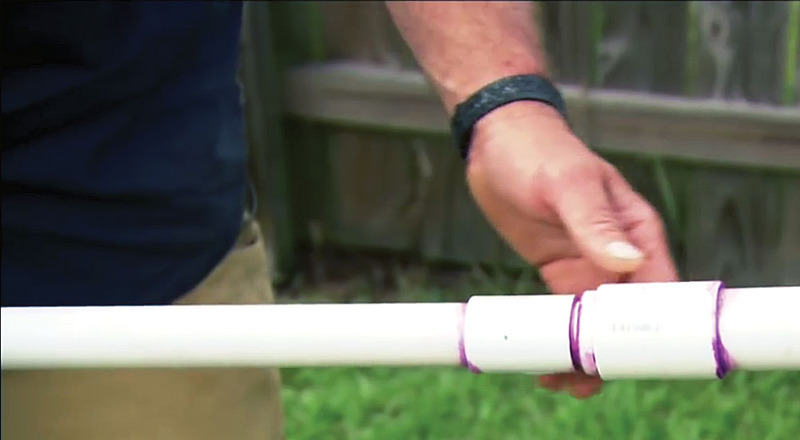 Step 4: Glue a 6-inch section of 1¼-inch PVC pipe to each end of a 1-inch-wide, 20-foot-long PVC pipe using the PVC reducing couplings. 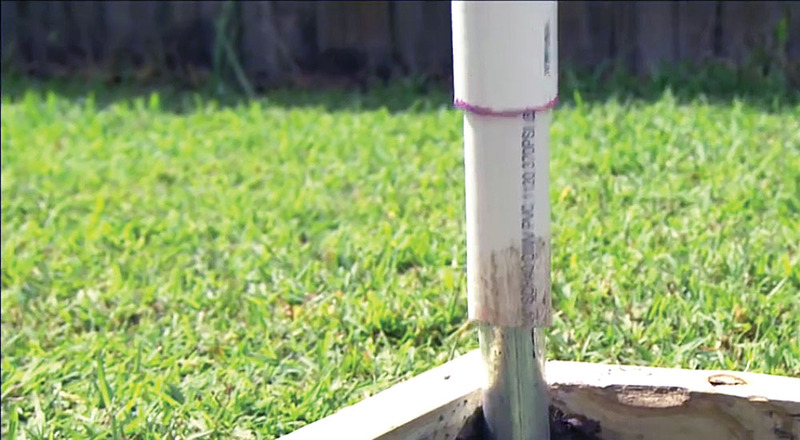 Step 5: Slide the PVC pipe onto the ends of the galvanized pipe. 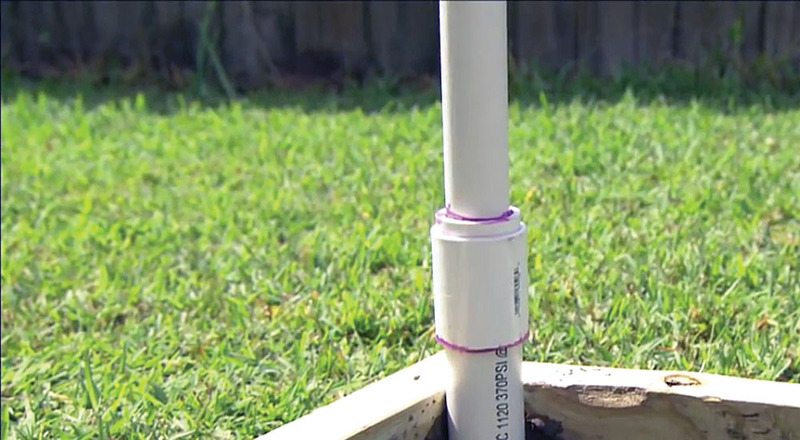 Step 6: Check to ensure the PVC pipe is straight. Step 7: Repeat the process to make and install the other three 20-foot bows on the remaining galvanized pipes. Step 8: Secure the PVC bows to the base using pipe straps and 1½-inch deck screws. Step 9: Install the doorframe and 12-foot cross member for stability and support. Step 10: Install the doors. 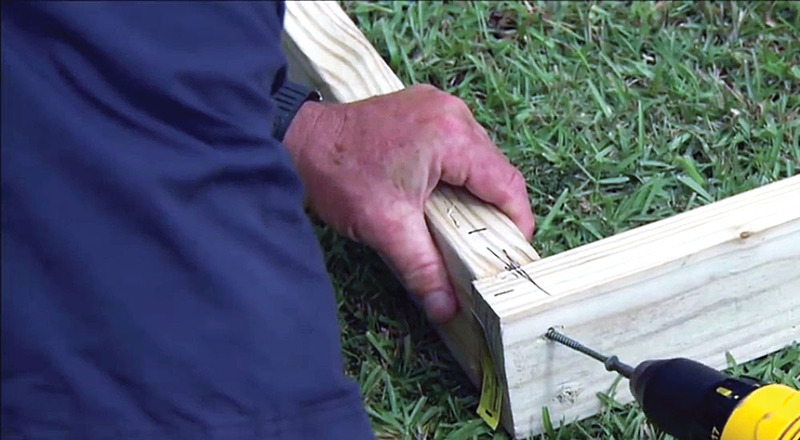 Step 11: Pull the plastic sheeting over the completed frame and secure it to the 2X4-inch base using screws or heavy-duty staples. Ideally, you should select an area of your yard that is level, has full sun exposure, and is free of obstructions such as trees, playground equipment, and outbuildings. In Mississippi, the long side (12-foot) of the high tunnel should be oriented north-south to minimize shadowing, but an east-west orientation will also be productive. You need to know where any underground utilities may be located. Homeowners undertaking projects that involve excavation or digging must provide their utility companies at least a 48-hour notice. Dialing the 811 service will connect you with the Mississippi call center and alert participating electric, gas, cable, and phone companies about the planned digging so they can mark the appropriate location of underground lines if necessary. You are responsible for marking your private lines, such as invisible pet fences, sprinkler systems, yard lights, and gas grill lines. More information can be found at Know What’s Below, Call 811 Before You Dig. 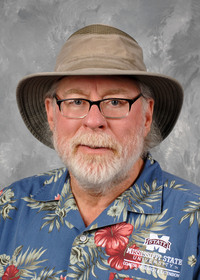 The authors of this publication assisted with the production of an Ask This Old House segment that detailed the construction of a homeowner high tunnel. The segment can be viewed at https://www.youtube.com/watch?v=sg_4316vpwo. 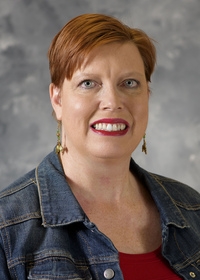 By Dr. Gary R. Bachman, Extension/Research Professor, and Dr. Christine E.H. Coker, Associate Research/Extension Professor, Coastal Research and Extension Center.